Find out how Google's smartwatch can improve your day-to-day experience. Apple's 6th generation iPod Nano sparked a lot of innovation from its competitors. Even though it wasn't intended as a watch, its use started something of a technological race to develop a smartwatch destined for large-scale, mass-market success. Samsung took a crack at the mobile watch market with the Galaxy Gear, Gear 2 and Gear Fit, but failed to reach the masses with a device that successfully delivers an experience that exceeds the expectations of technophiles. Apple's iWatch is highly anticipated, and the hype around the product seems ready to fill the void we've been missing. Google, meanwhile, introduced its contender into the mobile watch arena with the Android Wear. No stranger to wearables with its highly anticipated Google Glass, Wear evolves the quick information access pioneered by Glass in a comfortable and less obtrusive device. Today, we look at how Android Wear can make life easier through stable software and seamless integration with your Android phone. 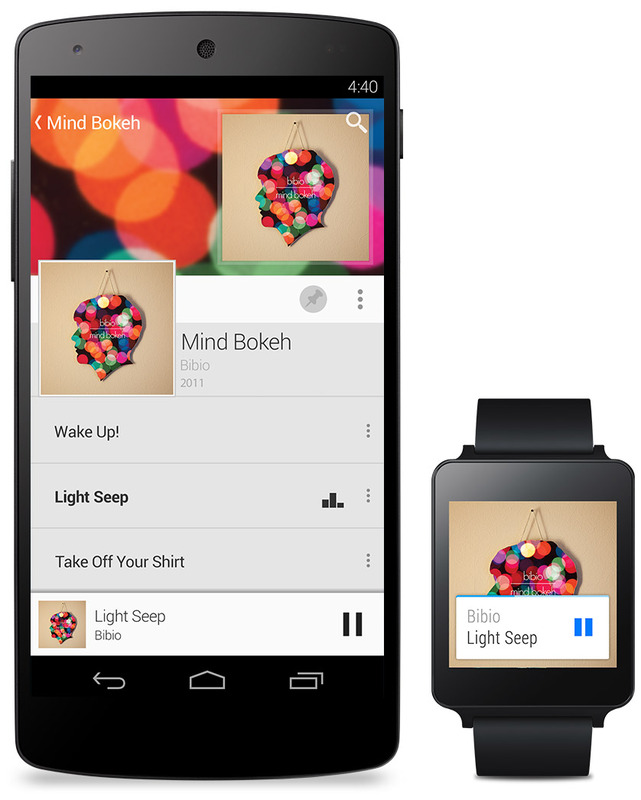 Android Wear intends to provide "information that moves with youâ while putting the world inches from your fingertips. Being more than a conventional watch, the OS makes suggestions based on time, and even factors location into its context-sensitive data. Have an afternoon dinner date appointment? Wear takes into account the distance to your location and traffic forecast, then suggests an appropriate time to leave to make your appointment. Being late is no longer an excuse with Android's smartwatch that delivers messages and reminders beamed directly to your wrist. Google Now notifications are on hand, thanks to Android Wear's ability to process information with voice commands. It's like watching Michael Knight's K.I.T.T. watch become a reality, but with the all-encompassing power of the search engine on your wrist. Android Wear is designed to transmit all your phone's notifications to your watch, giving you instant access to emails, Tweets and Facebook comments. Third-party fitness apps like Nike+ work with the software, with tracking capabilities to measure physical activity. Not an end all solution that allows you to fully customize your notifications, or a reason to ditch the physical trainer, Android Wear makes good strides in the direction of being a mostly all-encompassing solution. Android Wear can possibly diminish our obsession with smartphones in an effort to make more time and eye-contact with people in our lives. Just don't keep looking at your watch during a date or an important business meeting. It will send the wrong message and do more damage to your personal life and career. With that said, the Wear could become a centerpiece for conversation among technophiles. We remember quite a few times where our iPod Nano was a hot topic, as people were curious as to how it worked. Android Wear is a companion piece for Android users who don't want to spend their time looking at their phones for long periods of time. If you're looking for the convenience of having some of features of a smartphone on your wrist with the benefits of app monitoring functionality, the Wear will make your life easier.